The release of my first book publication entitled Biblical ABC Learning will be between the Spring and Summer of 2016! The goal of Biblical ABC Learning is to help children learn the alphabet as well as the Bible. I am excited about the release of my first book publication entitled Biblical ABC Learning! Spring/Summer 2016 Biblical ABC Learning will be available in print and eBook! Not only will children learn their alphabet, they will also be enlightened about people, places, events and various books of the Bible! Visit my website for updates on releases and events! Visit and follow me on Social Media for updates and Dandii_Lion Demeanor! . My excitement continues to grow as the progression of "Biblical ABC Learning" continues. I viewed my first character draft illustration today. To describe my emotion as "elated" is an understatement. I cannot wait until I am able to share the completion of my first publication. Continue to visit my website and follow me on social media to stay up-to-date with "Biblical ABC Learning" and more!! My excitement continues! 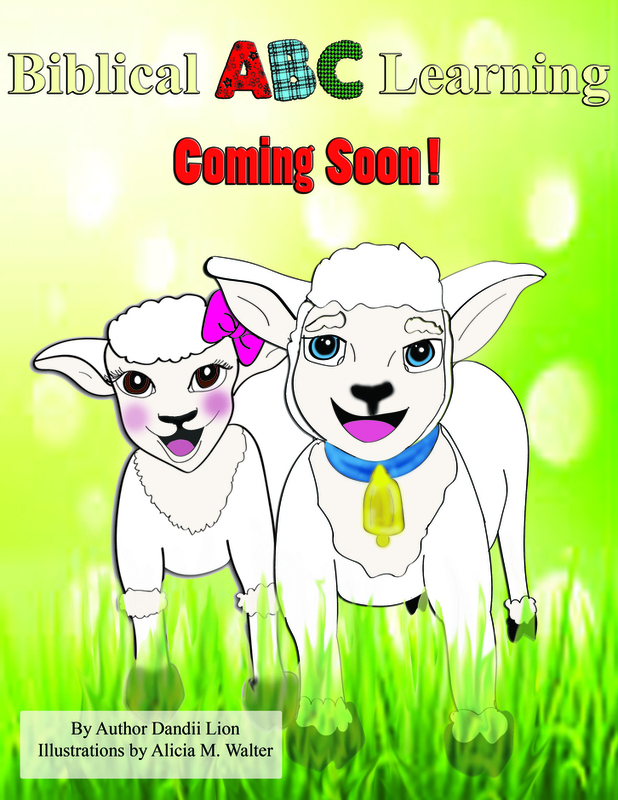 Introducing Lammie and Sammie, the narrative characters of "Biblical ABC Learning!" Continue to visit my websites and follow me on social media to stay up-to-date on "Biblical ABC Learning" and more!